Welcome to the Jolly Rogers Campaign! This campaign is about some of the most famous U.S. Navy fighter squadrons, those who carried the skull and crossbones of the Jolly Rogers. The campaign will run from 1 September, 2018 through 1 May, 2019. Looking forward to some great jolly builds. Arrrrr! It'll be pretty much out of the box except I will probably use those True Details seats I had laying around. Looking forward to getting this one on the bench! 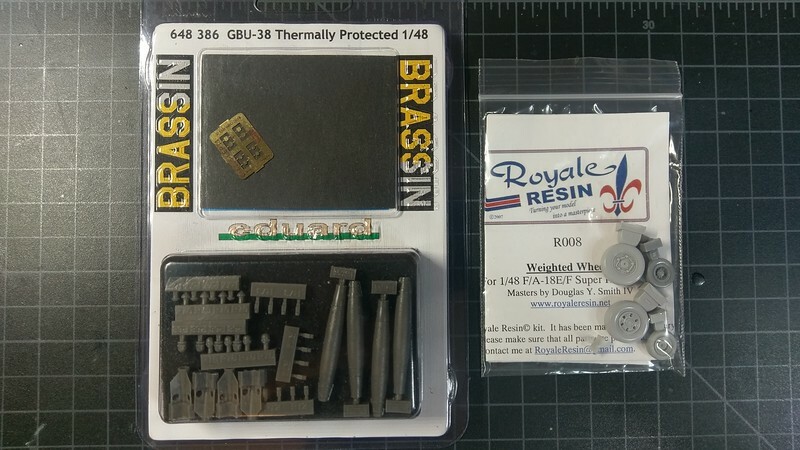 There are still a few 'after market' items coming in the mail that will be included to this build: "RESIN-RESIN-RESIN"
But as of right now I will just upload box art and contents of kit. 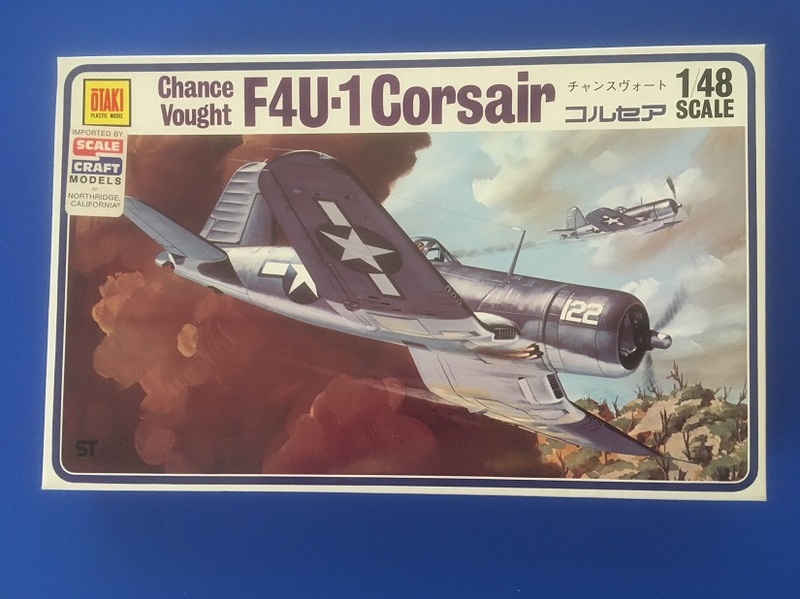 I would like to join with an OTAKI F4U-1 in VF-17 colors (as soon as I can find some decals). Scrap, Missed the kickoff. 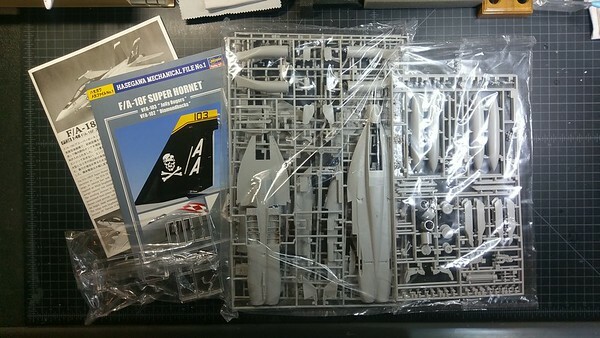 My plan remains to build the Hasegawa F9F-8 Cougar in GSB for this campaign. 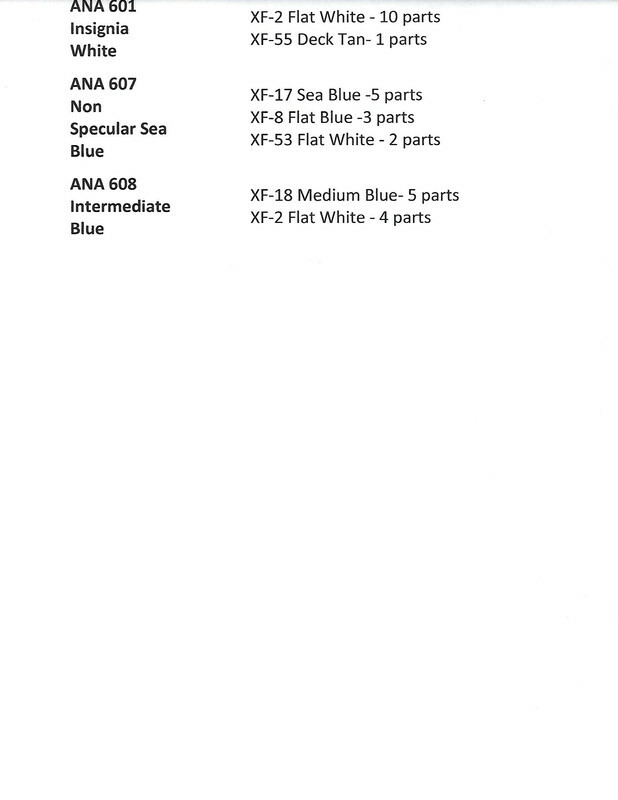 What I purchased as aftermarket accessories is a 'bit' much... but in reviewing what I have here, most of the 'resin' will be used and some PE as well... All the Ordnance will be included. That's a big bunch of A/M parts. Each single piece would have been more expensive than my whole F4U-kit I'd like to come with. I'm as well quite jealous about your great looking kits, Michael, Thomas and Pasi. And Robert, the Otaki kit should be fun like my Heller-bird. Thomas, I would like to see your progress on that Heller bird. Pasi, that is a sweet looking F4 kit. Thomas C, I see more than a little bunch of after market stuff. Michael, how big is that F-14? 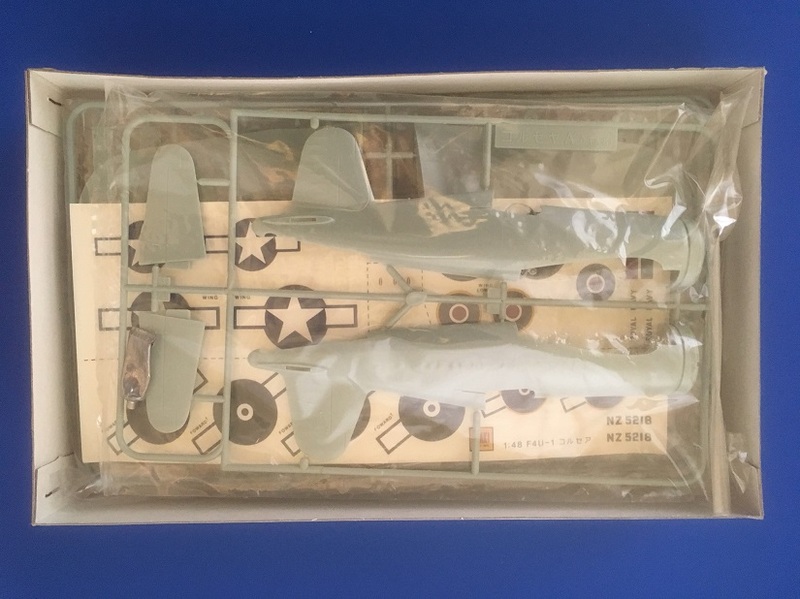 The box says the wingspan (swept fully forward) is 408mm, or about 16 inches. Big enough! Looks like we're off to a good start. Looking forward to seeing everyone's progress. "Thomas C, I see more than a little bunch of after market stuff." Thomas C, I was not complaining. I should have been more specific, your ambitious project will have me glued to the computer to watch your progress and maybe I will learn some new techniques at the same time. I say ROCK ON Thomas C.
Ok I will join in. This will be my first campaign that I have participated in. I have to find me a model to order. What scale are you looking at, Jeff? Removed by original poster on 09/12/18 - 12:09:37 (GMT). Academy and Zoukei-Mura both make quite nice F-4Js in 1/48. 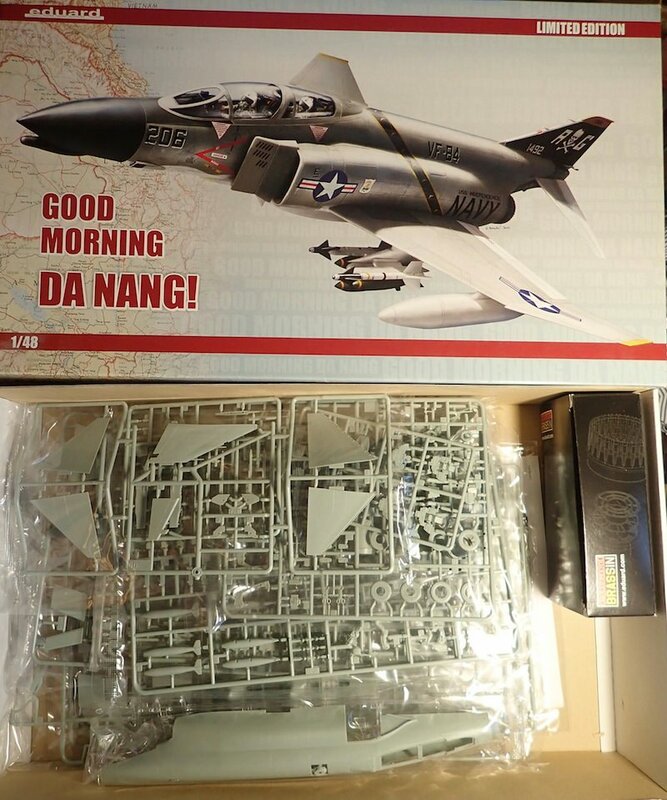 The original (2014) issue of the Academy F-4J has very nice looking VF-84 decals in the box. I reviewed it here. There's a review of the Z-M kit here. Michael, nice review on the Academy F4. The kit looks like it has many parts. I mainly use Tamiya acrylic paints, but have since the colors are not always true to what I am building I need to mix them some times. 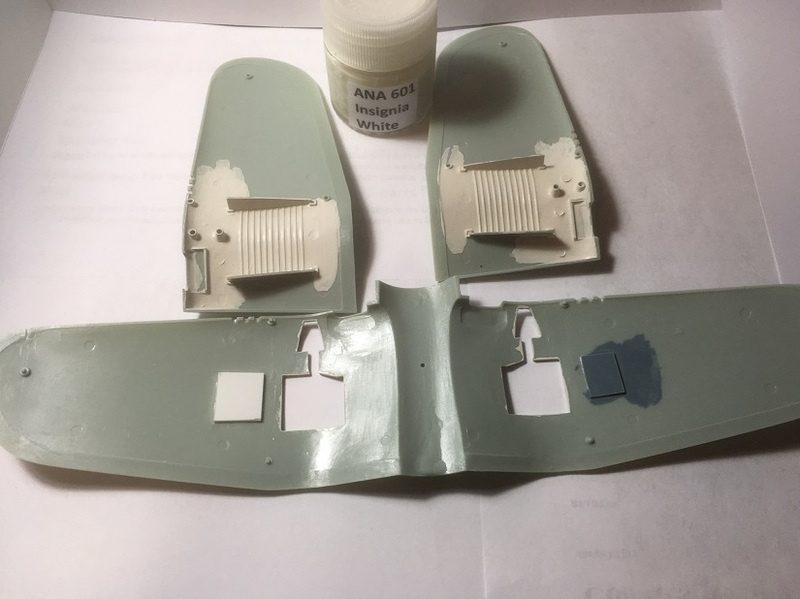 I found this site (REPLIKATOR) for an easy conversion of the WWII US NAVAL AIRCRAFT. Insignia White has always been a mystery to me, but with Replikator's mixing chart I now seem to have what looks like tri colors. Thanks for the link to the review... I went ahead and ordered one up! 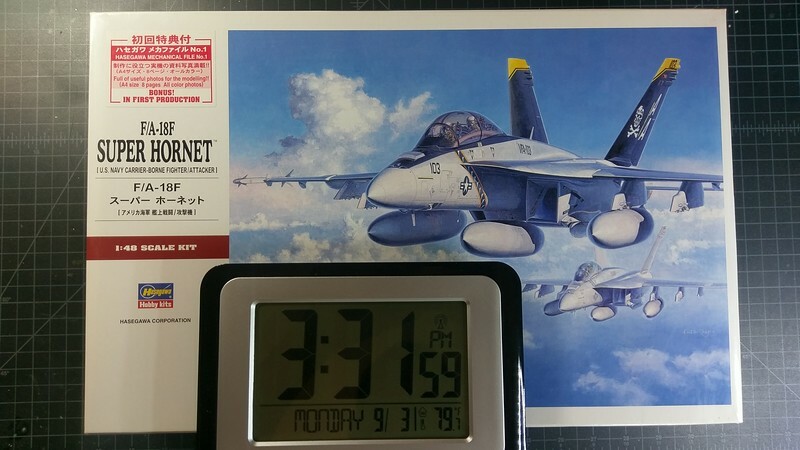 Question though... Will a resin cockpit set be a worthy replacement and would one for a Hasegawa fit well? A resin cockpit will almost certainly be an upgrade, whether you want to go that far is really up to you. I can't tell you if a set designed for the Hasegawa kit will fit the Academy kit (if that's what you ordered), but if you don't already have one Aires makes a cockpit specifically for Academy. Sprue Brothers has it here. 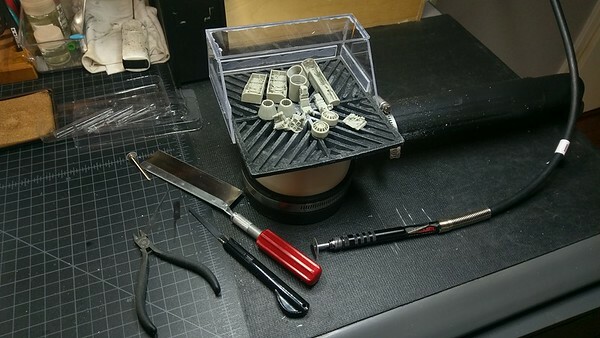 "Will a resin cockpit set be a worthy replacement and would one for a Hasegawa fit well?" Aires is an excellent resin aftermarket for a kit upgrade. But just a word on cutting off the molding resin from usable part. 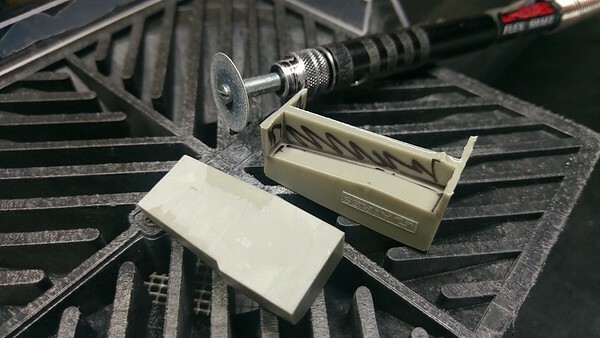 From my experience, resin dust is dirty and can be toxic in amounts. I recommend using a well ventilated area to collect the dust.. (Paint booth for instance)..
Hope this helps and Happy Modeling!!!!!!!!! That is a great downdraft setup Thomas..... Thank you for the idea. Thank you Michael for the tips and leads. 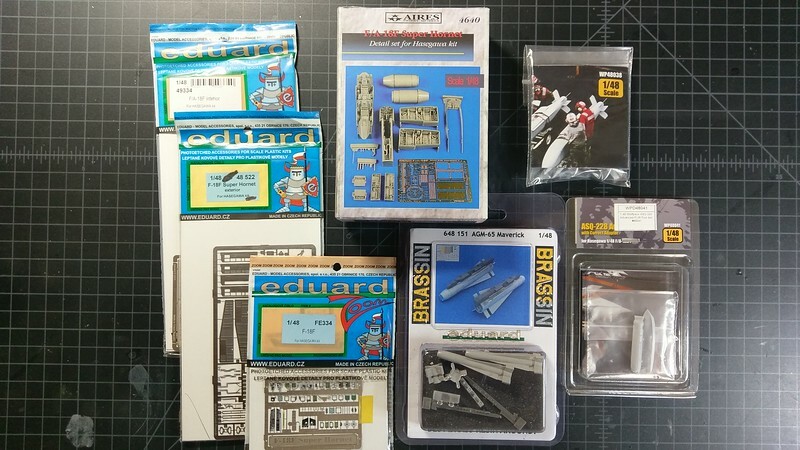 I wound up getting the Eduard cockpit set and a decal set for another plane I was wanting from Sprue Brothers. I May decide to add wheels and exhaust cans but this will work for now. The kit btw was sold as new/unopened but that was not the case. When I got it I found that the shrinkwrap was removed and after inspection I found that the decals and clear sprue was missing... UGH. Jeff, love the vacum system that you have assembled. Looks like a lot of nice kits entered. 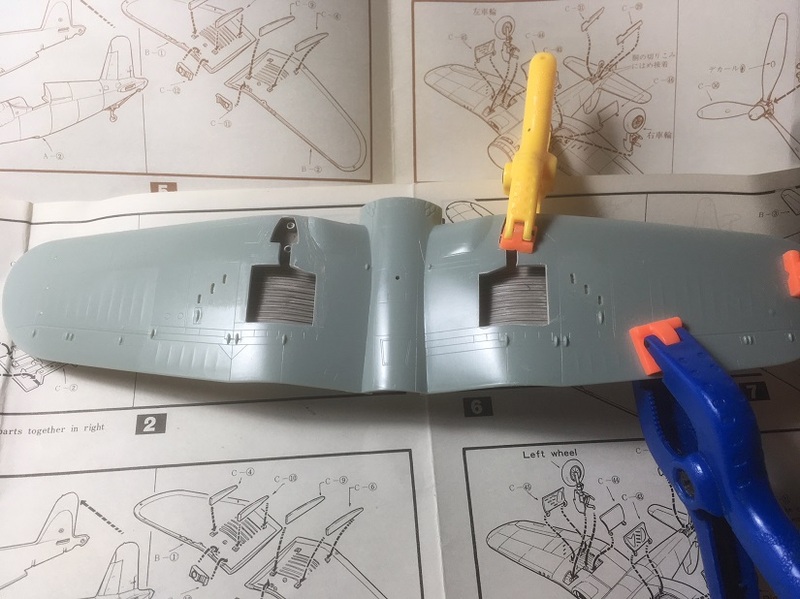 I have some very little progress with the wing. From what I have read, the wheel wells were painted the same as the bottom on the airplane. First time doing a campaign, need the motivation to chip away at the kit stash. 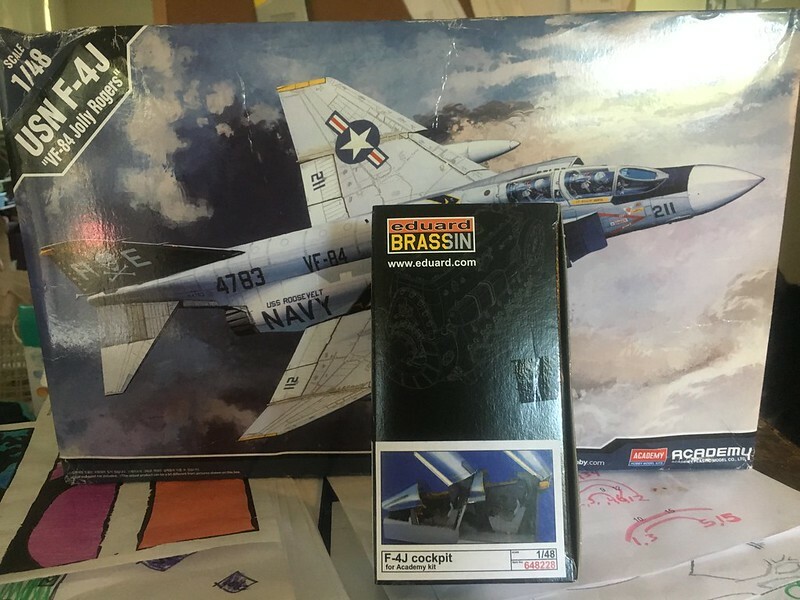 1/72 Hasegawa F9F Cougar w/ photo-etch from VF-61. Haven't decided on gull gray or gloss sea blue scheme yet.